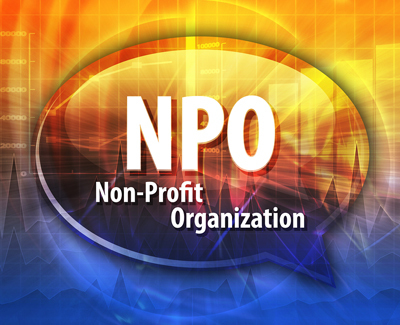 So what exactly is a nonprofit corporation? Basically, a nonprofit corporation is a business organization that performs a public service of some kind. Because of this, the organization is able to enjoy special legal treatment. Ironically then, nonprofit corporations are able to make significant profits, but they cannot be created primarily for the purpose of making a profit. This is important knowledge to have when considering the structure of your business or company. There are many benefits compared to for-profit businesses, which includes income tax and sales tax exemptions on the state level. Unfortunately, if you create a nonprofit organization at the state level, it does not automatically ensure that you will receive an exemption from federal income tax. Another significant difference between nonprofit corporations and for-profit businesses relate to the treatment of the companies' profits. In a business created for profit, the owner of the business (along with any shareholders), will usually receive the profits from the company. With nonprofit corporations, the organization must first pay its bills (like any organization), and afterwards, the remaining profits are returned to the organization. In some cases, certain nonprofit corporations are able to receive contributions that are tax deductible for the person who is contributing to the company. However, it is important to remember that nonprofit organizations must be created in order to benefit the public in some way. Nonprofit corporations are usually incorporated under the laws of whichever state in which they are established. In order to receive federal tax exemptions, your nonprofit corporation must apply to do so with the IRS, and there are two required applications. You will need to require an Employer Identification Number (EIN) first, and then you will be able to apply for "recognition of exemption" by filing Form 1024 (Other Tax-Exempt Organizations) or 1023 (Charitable Organizations). Both of these applications will require a filing fee as well. The IRS differentiates the different types of nonprofit corporations by the tax code used to provide them with exempt status. Form 501(c)(3), one of the most common forms, includes corporations that are created in order to complete charitable, educational, literary, religious, or scientific work. This includes a wide range of organizations and corporations, including outpatient clinics, hospitals, charities, and continuing education centers. However, it is important to be aware that the IRS prevents these tax-exempt corporations and organizations from engaging in specific activities in order to maintain their example status. For instance, if you create an organization under section 501(c)(3), your corporation will not be able to participate in political campaigns. While nonprofit corporations are still required to pay employment taxes, they are able to be exempt from paying sales tax in certain states. Make sure you check with your state in order to research and better understand exactly how nonprofit status for organizations is handled in your area. Additionally, nonprofit corporations can occasionally be required to pay unrelated business income tax. This tax concerns any regular income from the corporation that is not significantly related to whatever the organization's charitable purpose is. In these cases, any gross income of $1,000 or more from an unrelated business will be required to file form 990-T and pay taxes on that income. Also, if your nonprofit corporation receives revenues of more than $25,000 per year, then you will be required to file an annual report (form 990) with the IRS. There is also form 990-EZ, which is a shortened version of 990. This form is designed to be used for smaller corporations that have total assets of less than $25,000 each year. Form 990 will ask you to report your corporation's expenses, income, and all employee salaries that are higher than $50,000. You should be sure to check with your state as well, as there might be a similar state requirement. In all cases, you should make sure to do your research in order to ensure that you are complying with all federal and state laws. Bottom Line: Setting up your business as a nonprofit corporation can be an excellent way to better your community while receiving beneficial tax incentives as the same time.